If the above picture hasn’t completely grossed you out yet, then you must have a sick sense of humor like me so continue reading. Everyone knows that Easter is less than a week away but did you also remember that there is another holiday the day after Easter this year? April Fool’s Day. Okay, so maybe April Fool’s Day isn’t actually considered a holiday but for all the pranksters out there it is definitely a day to celebrate. 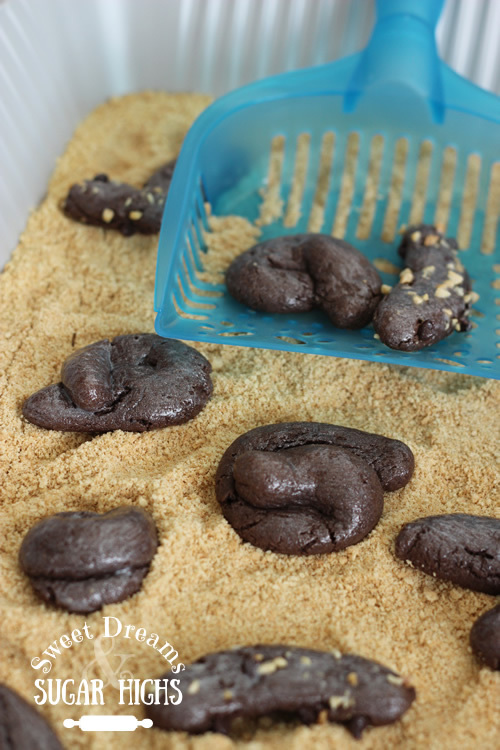 And that is what leads me to today’s tutorial on Cat Poop Cookies. You may remember that back on Valentine’s Day I made Cupid Poop Cookies. Well, soon after posting them, a friend of mine asked if I could come up with a chocolate version of the cookies. 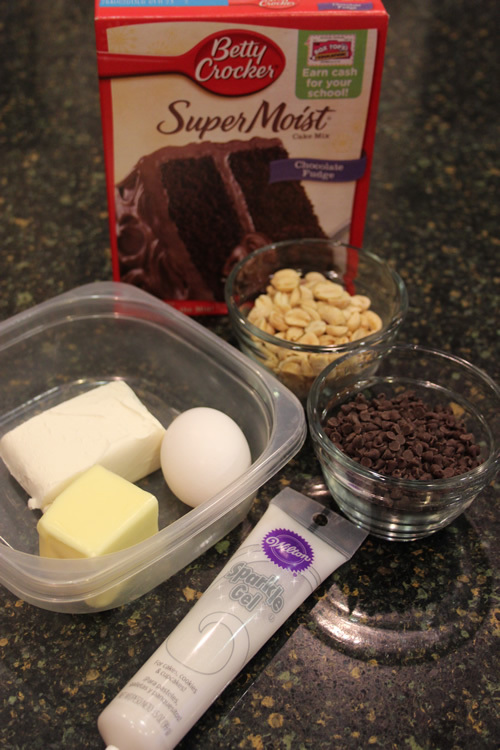 I’m not one to back down from a challenge so I made just a couple of changes in the recipe and ….voila…. 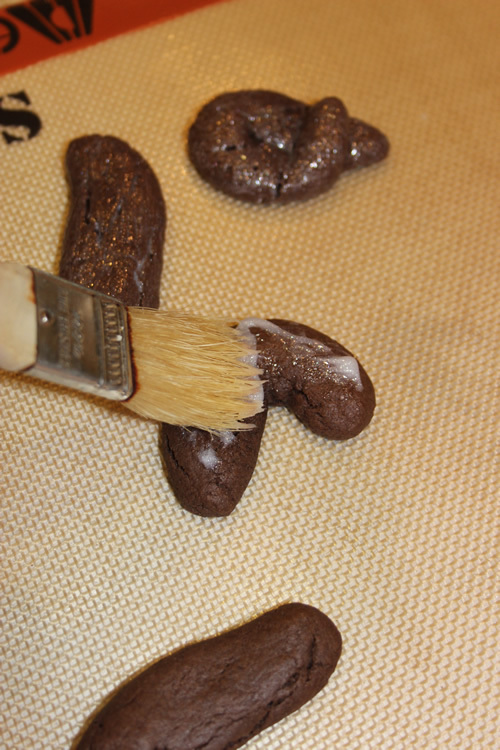 I now had more realistic looking poop cookies. 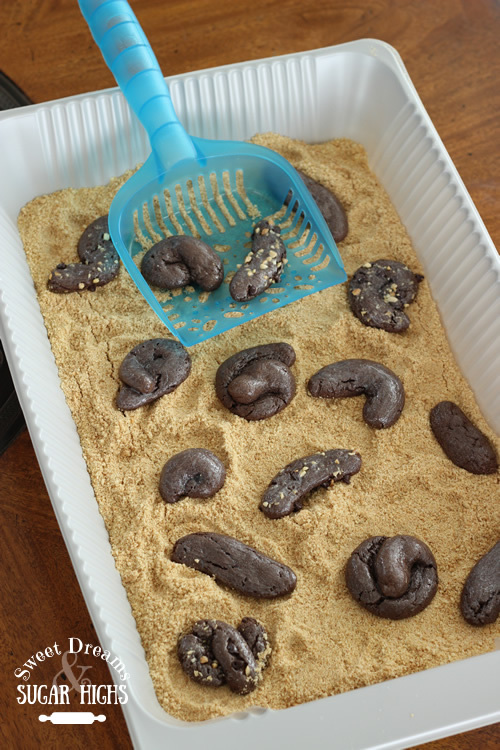 Then, just to keep up with the gross factor, I picked up a cheap kitty litter box and scoop at the grocery store, filled it with crushed graham crackers and created a great way to display my poop cookies. 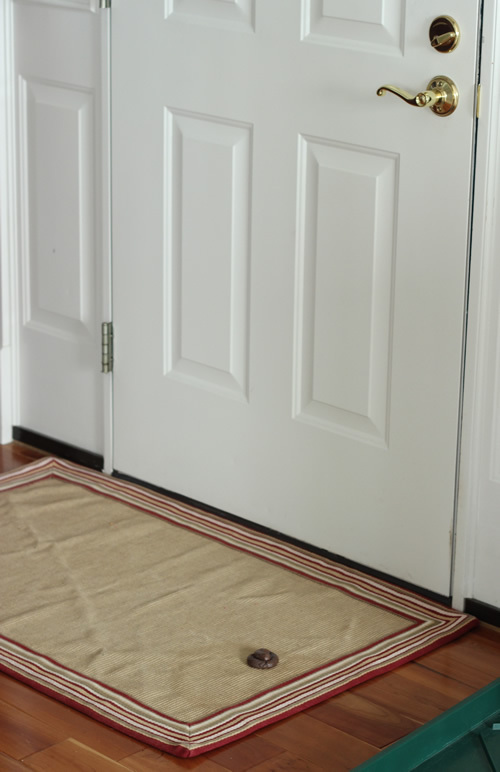 You can put the litter box on the floor then when someone stops by on April Fool’s Day all you have to do is bend down, pick up a cookie from it and offer it to them. If they refuse, just take a bite out of it yourself and explain how good it is. Or strategically place it under one of your kid’s stuffed animals so that they wake up to something like this on April Fool’s morning. There are truly endless ways to have fun with these cookies. Before I take it too far and start to get too gross, let’s get started on the tutorial. As I said before, the original recipe came from my Cupid Poop Cookies. All I did to alter the recipe was change the white cake mix to a chocolate cake mix and eliminate the sprinkles. 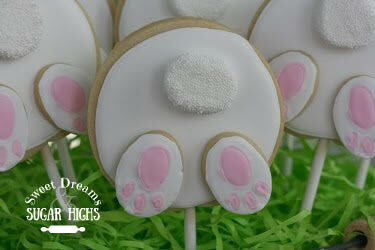 I still used the white sparkle gel because I love the fresh mucusy look it gives the cookies. 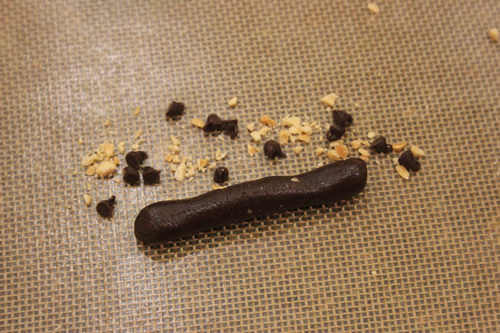 I also rolled some of the cookies in chopped peanuts and mini chocolate chips but I found I didn’t like the look of those quite as much as just the plain poop. It added some nice flavor but I felt the chunks sort of took away from the realistic look of them. 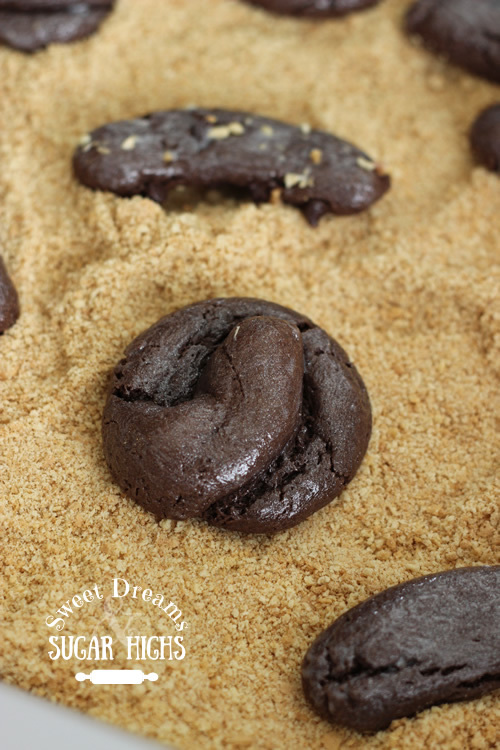 Here is a printable version of the Chocolate Cat Poop Cookies recipe. As per the recipe, combine the ingredients and roll the dough into logs. If you would like to add the nuts and chocolate chips, be sure to chop the peanuts first, then lay them on the counter and roll the log over them. 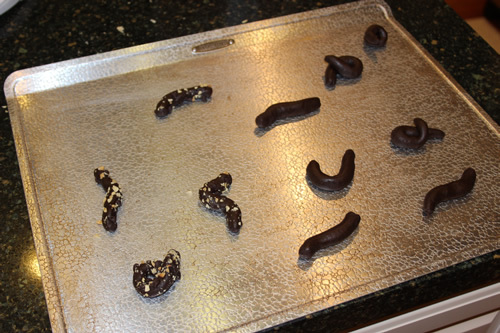 Shape them into poops and place them on an ungreased cookie sheet. 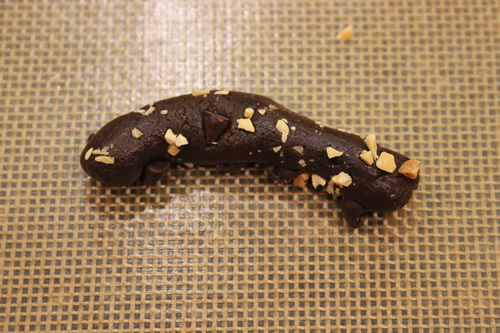 Keep in mind that poop comes in all sorts of different shapes. Make some of them rounded into a pile and leave some just curved or even straight. Refrigerate them for about 15 minutes then bake them in a preheated 350 degree oven for 7-9 minutes. Allow them to cool completely then squeeze some sparkle gel on each cookie and brush it on with a pastry brush, being sure to fill in all the cracks and crevices. Here is the difference the gel makes in the look of the cookies. If you prefer the non-mucusy look then you can just skip it all together. You’re all done and ready to freak out your friends and family. I think you’ll agree that poop never tasted so good. This is seriously the best thing I have seen all week. 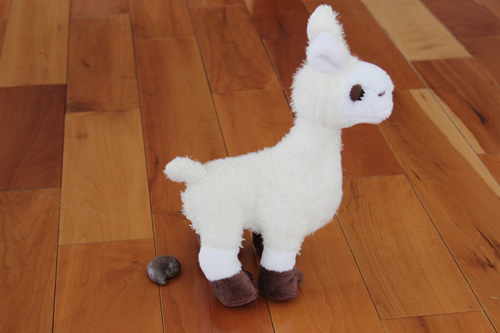 The llama picture? Classic. You are a genius!! Llama picture is hilarious! Making these! Mine kinda melted…..will try again in morning with the extra flour added. 🙁 but they taste great . any other tips? Monica, I’m sorry, I am just seeing this. I didn’t check email over the holiday weekend. Did they do any better when you added more flour? Mine flattened a bit too, but not enough to keep them from still looking sort of real. If you compare the picture before they were baked and the pictures after you can tell that they definitely spread and flattened a bit. I refrigerated the dough prior to baking in hopes of keeping the flattening to a minimum. I don’t totally understand all the science behind it so if anyone else has suggestions for keeping them round that would sure be appreciated. I beat an egg, brushed the poops with the egg, then put mine in the freezer (on the pan – I have a chest freezer) for about 10-15 minutes before baking. The cookies held their shape well and the egg coating made a very nice shiny sheen to them (we didn’t have the glitter gel). I think the science behind this is that the cold pan and cookie dough help the cookies hold their shape long enough for the outside to harden a bit – thereby retaining much of the shape. I would love to see them. Thanks again for sharing this information. Hi! I personally LOVE these and have done many like it. From unicorn poop, to reindeer poop, and even on one occasion green leprechaun poop cookies. These practical joke cookies have got to be my favorite. By using my allowance, I have made these and take them to school. How surprised do you think my teachers are when they realize that someone left a little “present” on their desks? 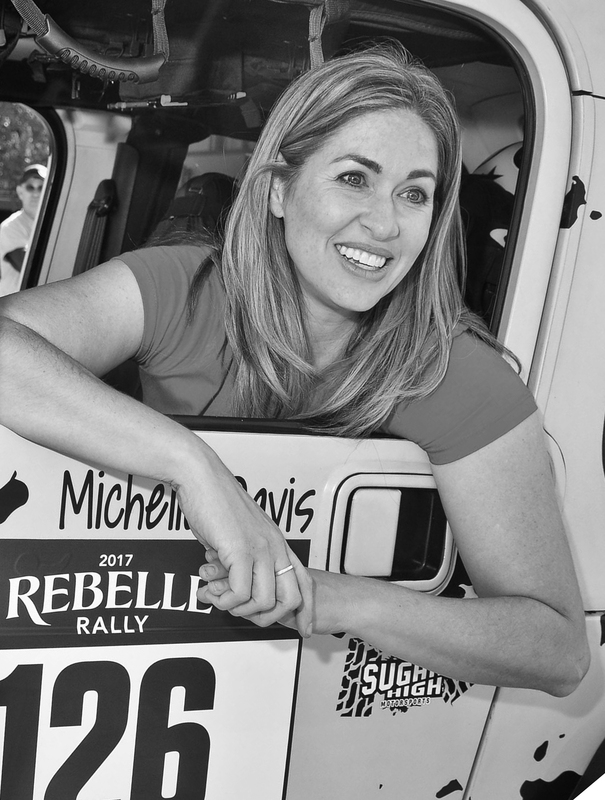 I always add a small note attached explaining, of course, but somehow I know some of my more…. uptight teachers don’t really eat them. But it’s the thought that counts, right? 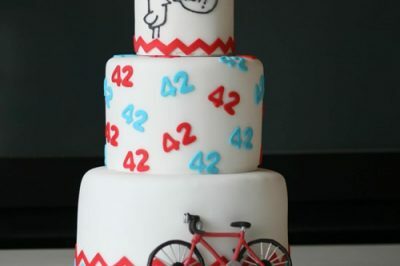 Well, in love with the idea, and BRAVO!!! Amazing! This is gross but awesome at the same time. I love this! Mine are flattening a ton too so I’m going to try to put the dough in the fridge before I roll them too. Maybe that’ll help. But they do taste delicious! Hi Kieuseru, I have not made these with a different recipe but I’m sure they would work. Below is a link for a site that has a tutorial for Unicorn Poop cookies. They use a regular sugar cookie recipe for them so maybe you could alter it and add cocoa powder for some of the flour or you could find another chocolate cookie recipe and try that. Hope this helps. Good luck to you! Thanks for the recipe. Super easy! Took it to a Halloween party. Trying to make about 70 cookies. Any thoughts? Hi Ayelet, gosh I’m really not sure since it has been quite a while since I did these. I would say that you definitely need to double the recipe, possibly even triple it. I think you will have more than needed if you triple it but then you can pick out the best ones. 🙂 Hope that helps and good luck to you. This is just so hilarious! I love it! 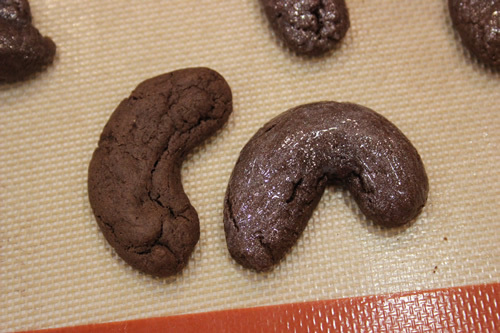 We’ve also collected the best poop cookies recipes but for unicorn poops: http://stickypoop.com/unicorn-poop-cookies/ If you have a video tutorial on how to make make poop cookies, I would love to add it on my website if you allow? Thank you so much! 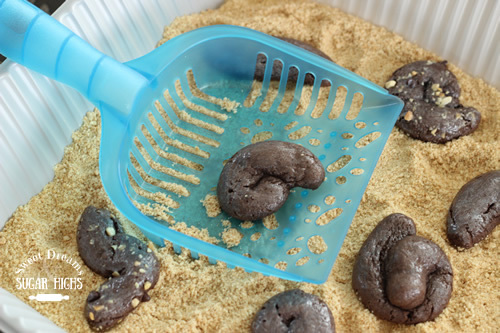 Unfortunately I do not have a video tutorial for my cat poop cookies. 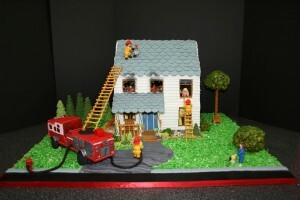 I might consider making one though when I get a chance. I will let you know if I do. Thank you so for the interest. What did you use for the cat box litter? I am making these for Halloween party. Thanks much! Hi Angela. I’m sorry, somewhat I missed this comment and am just seeing it now. I know it is a little late but the “litter” is crushed up graham crackers. Hope you had a fun Halloween party.